Go-To-Gifts: Mother's Day and Giveaway! Mama Say What?! | Mama Say What?! Mothers Day is right around the corner (May 12 in case you’re wondering!). If you’re still drawing a blank on what to get the mama in your life, fear not. We’ve compiled a list of unique gifts that are sure to show your favorite mama how much you appreciate her! Everything you see here was requested by a real mama, so you can be sure it will be a big hit! And if you’ve already got Mother’s Day covered (good for you, early bird! ), bookmark this list for the next time you feel like making your mama feel special! 10. Have a photo gift made. 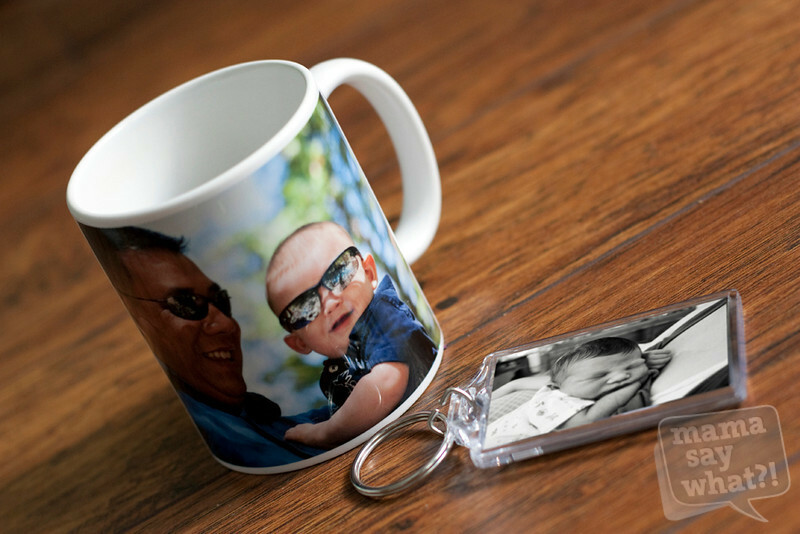 Have your little ones’ faces printed on something that she uses every day (think coffee mug, key chain, magnet, cell phone cover, etc). What mama doesn’t love picking up a normally boring every day object and seeing her little sweetheart? I know I would! Try sites like Zazzle.com and Shutterfly.com. 9. Mommy and Me sets. Give your little one the chance to be just like mom! For the mama who loves to bake with her little one, how about this adorable Mommy and Me apron set from Jessie Steel? Or if baking isn’t her thing, how about a super cute Mommy and Me gardening set? 8. 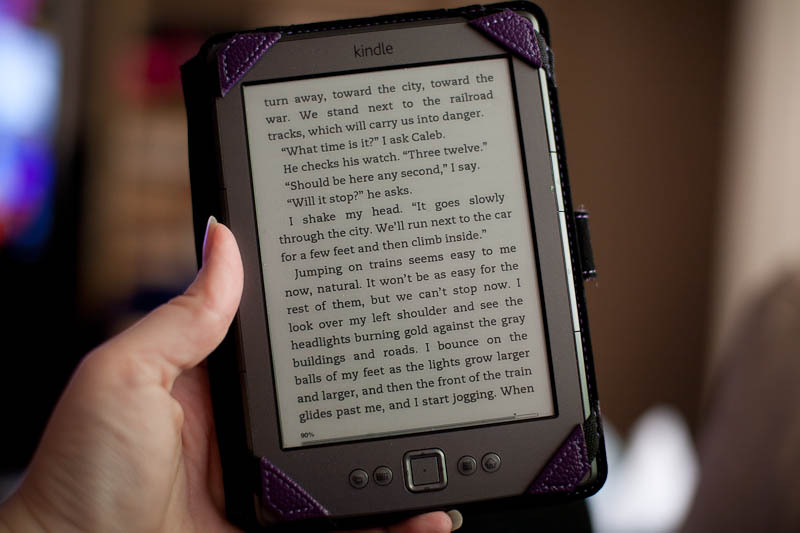 An e-reader. If your mama likes to use books and magazines to escape, e-readers are a great way to enable her to have all of her favorites at the push of a button. Kindle, iPad, iPad Mini, and Nook are some examples. 7. A blender! This is a great all-purpose gift that can make your mama’s life a lot easier too! Go an extra step and throw in a book of healthy smoothie recipes to get her started and keep her energized! 6. Birthstone Jewelry. Jewelry of any kind is always a safe bet, but make it even more special by personalizing it with your children’s names or birthstones. Most chain jewelry stores offer a birthstone product line but we especially like to check out Etsy for absolutely unique, homemade birthstone jewelry. Like this one from Say Anything… Jewelry by Stephanie Wilde. 5. Family Photos. Schedule a family photo session or a Mama & Me photo session with a local photographer who specializes in photographs of children and families. Bonus points if you pre-order a print package or a canvas print of her choice! 4. The gift of alone time. We love spending time with our little angels, but alone time is a precious commodity that is hard to come by when you’re a busy mom. Arrange to watch the kids and send her off to the mall with a gift certificate so she can go nuts, guilt-free. Arrange for her to meet up with some girlfriends at a coffee shop for a few hours. 3. Pamper her. Make all the arrangements for your mama to relax with a spa day or a mani/pedi. If the spa is out of your budget, put together a basket full of some of her favorite relaxation luxuries. Think facial masks, nail polish, bubble bath, a super soft robe and some slippers. Draw her a bath and light a candle and tell her to just relax! 2. A work of art! 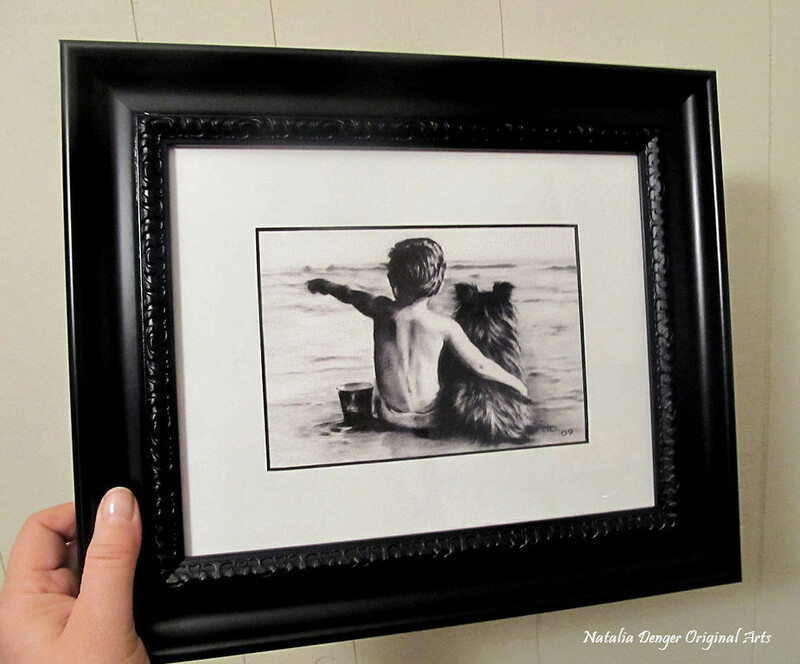 We love Natalia Denger’s beautiful custom drawings and prints of children and parents and we’re sure any mom would be thrilled to receive a one of a kind drawing of her little ones. Just send her your favorite photo and she’ll transform it into a work of art! 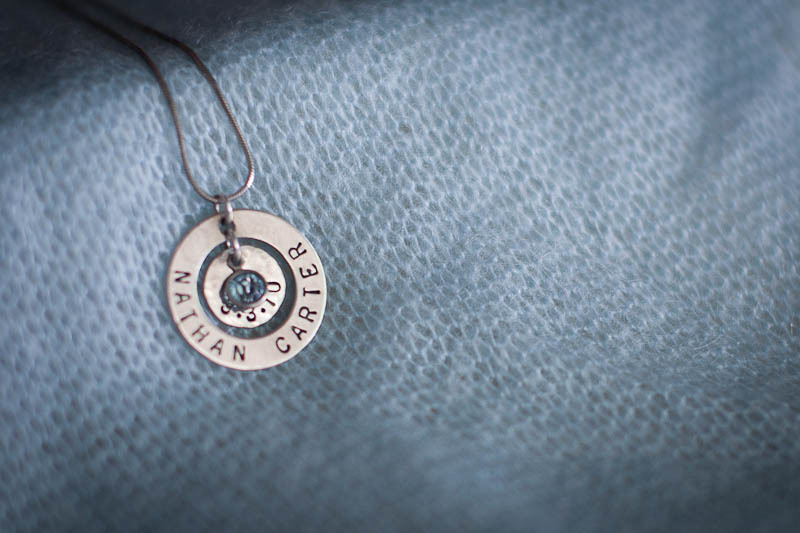 This gift if a keepsake and she’ll be sure to treasure it forever. Check out our giveaway below for a chance to win some of Natalia’s work! 1. Absolutely anything handmade! Nothing says you thought about your mama like sitting down with your little one to make her something. It’s personal, unique and fun to do! Try personalizing a picture frame with your little one’s handprints, have your child draw her a picture or write her a letter… almost anything goes in this case! Here are some fun DIY projects we’ve featured here on Mama Say What?! Have your child decorate a handprint like Christy A. and her daughter did. Take some fun photos of your child and make a couple of photo bookmarks like Cassie W. did. Scan and upload some handwritten recipe cards and turn them into heirloom kitchen towels like Alex T. did for her mama. Paint some fun-shaped rocks like Cassie W’s little one did to use as paperweights or to decorate mama’s garden. Adhere family photos or photos of your kids to tiles following Mary Ellen M’s instructions to create a set of tile coasters. Create this DIY tiered planter from Heidi C. and fill it with her favorite flowers or a selection of her favorite herbs. Congratulations to our winner – Brianne Rushing! Brianne will be taking home a 5×7 Friends Forever charcoal print and a 10% discount for an original custom portrait. Thanks to all those that entered! Stay tuned for our next giveaway beginning Wednesday, May 15th! Added by Kate D. on May 3, 2013. 7 Responses to Go-To-Gifts: Mother’s Day and Giveaway! Awesome I never know what to get my mom! Pingback: Kissaluvs Cloth Diapers Review and Giveaway! Mama Say What?! | Mama Say What?! Friends forever was super cute and sweet! The friends forever print is too sweet! i loved the leopard charcoal print. Great ideas on here! The print is adorable! the Leopard Charcoal print is great! !